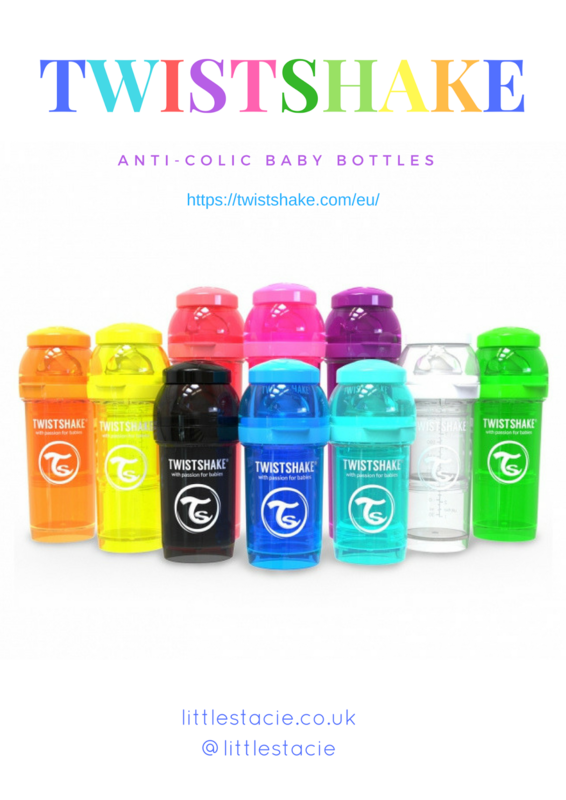 Twistshake are an amazing brand from Sweden who make Anti-Colic bottles, pacifiers, clips and little storage containers. They have won 7 awards and reached distribution partners in almost 60 countries since April 2015, which is incredible! What makes them different from other bottles? They're unique! 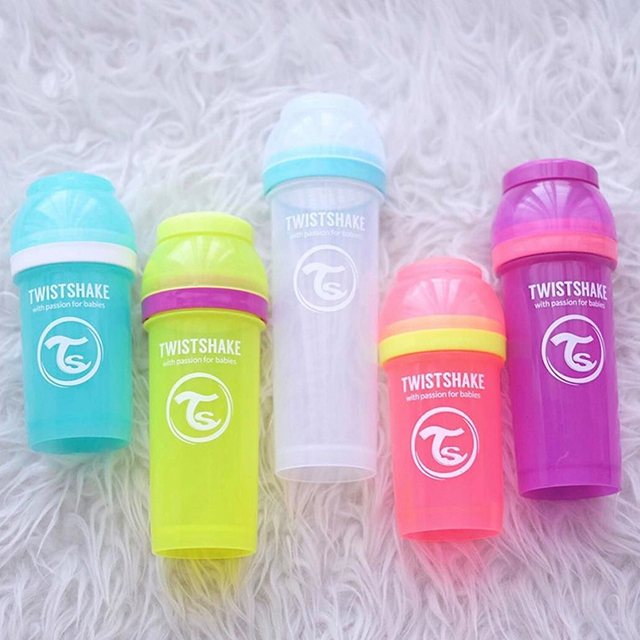 Not only do them come in different colours, but you can switch the colours up, so if you'd like a blue and yellow bottle all you have to do is switch the tops/bottoms over and ta-da! you have a multi-coloured bottle. They also have an anti-clogging system which helps to prevent formula powders from clogging up and they are 100% BPA, BPF and BPS free. What are the bottles like? 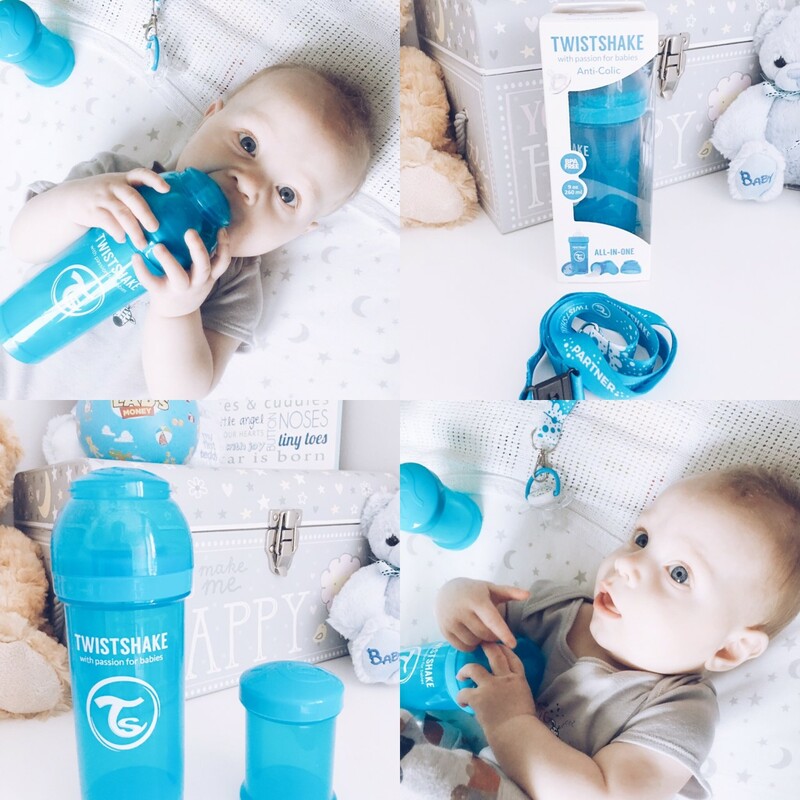 The bottles themselves have a great airflow system and are also anti-colic which I think is highly important, as it make such a difference to your child as well as them being BPA free. BPA is an industrial chemical that is used to make certain plastics and resins, therefore, if the baby bottles you are using are not BPA free, they aren't safe. Twistshake care about your child's safety and this makes them a fantastic brand! Inside each bottle is a container making it easy to store formula when going out or for keeping little snacks in which is a great addition and something most bottles don't have. The colours they have created for the bottles are bright and funky making them more fun and eye catching for your children which I think is important for their development as you can use them to play colour games. They also come in black and white if you want something more plain and subtle. From £7.60 - £72.15 which is from a single bottle to the bundles. I think the price is fantastic for what is included and how much love is put into making them. You can buy the bottles separately or as a bundle, and I highly recommend giving them a shot, if I was to see these in store I would buy them over other brands instantly, as they stand out and are unique, just like our children. Use 'littlestacie20' at the check out for 20% off your order and give them a try because they really are worth it and your children will love them!